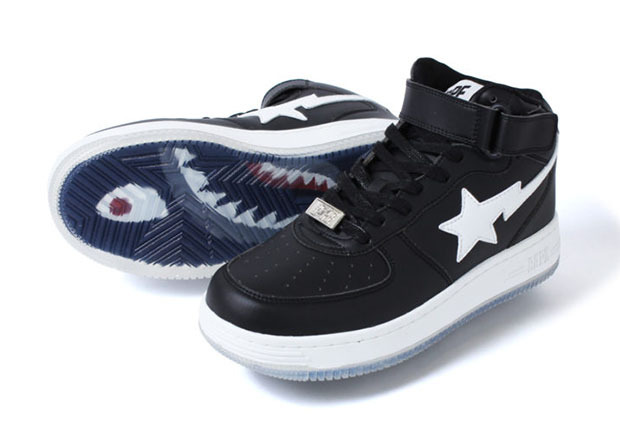 BAPE’s shark hoodie is no doubt one of the brand’s most iconic pieces ever created, an essential piece in the closets of hypebeasts across the world. 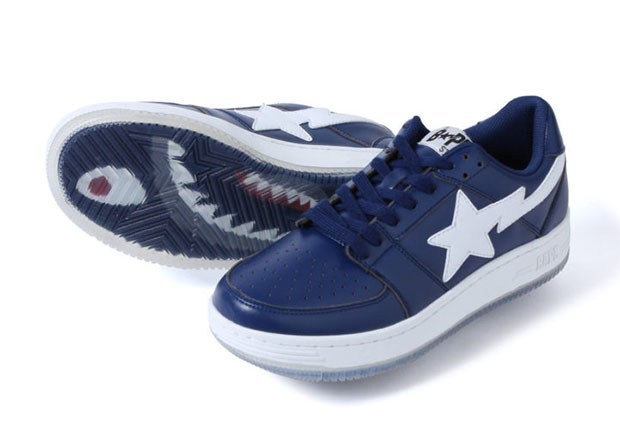 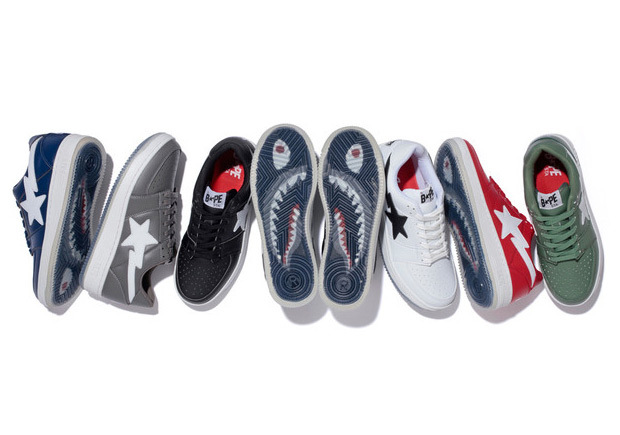 Now you can bring the shark to your feet, thanks the the new clear-soled Bapesta featuring the graphic on the soles of each foot. 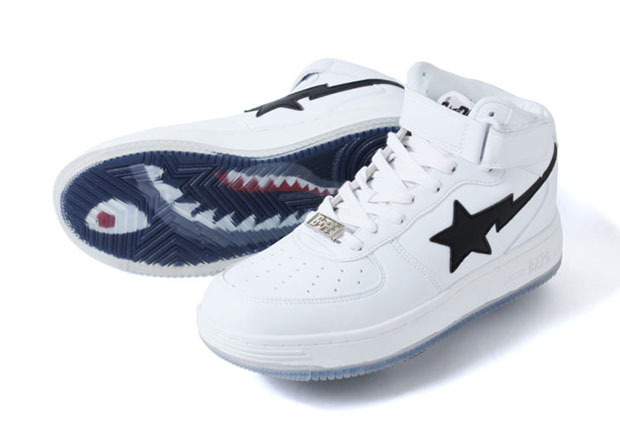 Up top, you’ll get a standard Bapesta in either the low or high top construction featuring a two-toned leather upper in a variety of colorways. 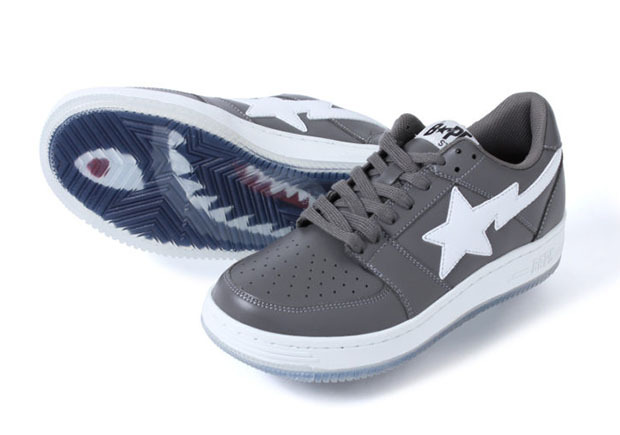 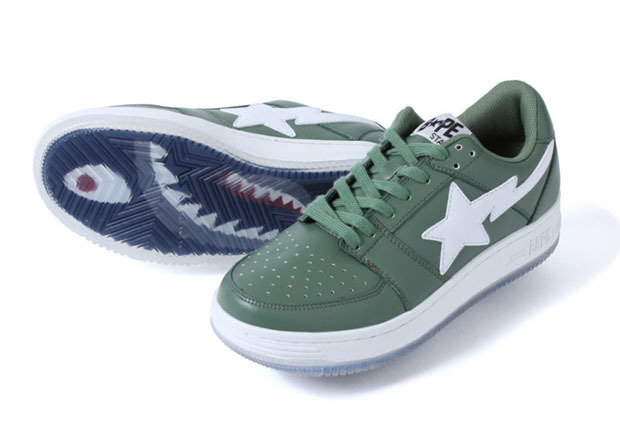 The somewhat basic uppers let the shark-printed sole take center stage, creating the latest must-have item for BAPE lovers worldwide. 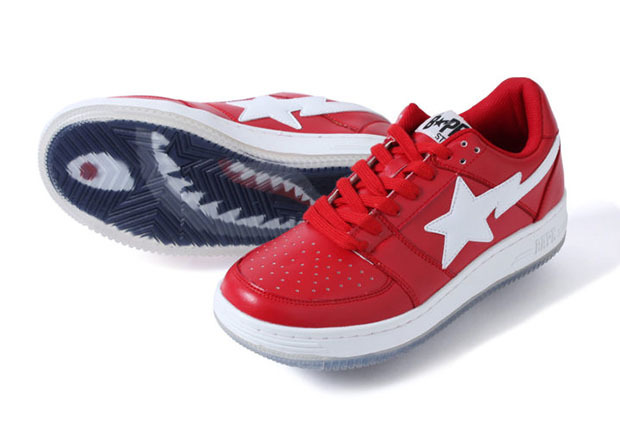 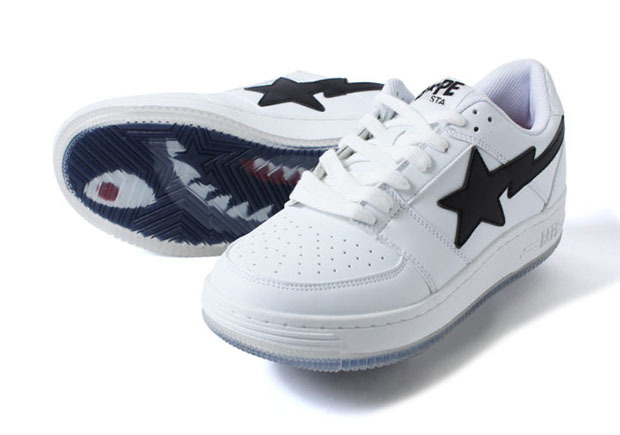 Look for you pair at BAPE stockists soon.